Let’s have a chat about chat, shall we? You may have a chat tool in place or perhaps access to a chat tool. If so, are you using this tool to its full capacity? In our experience, the majority of B2B firms know the value of chat for customer support, however, most of those same companies underestimate just how powerful live chat can be as a marketing tool. Live chat adds another listening channel to your arsenal and it can be a powerful one. Uncover pain points, needs and sales opportunities in real time. We’ve found that prospects with pain points can be quickly profiled and moved to a “qualified appointment.” Direct Marketing Partners has put millions of dollars into our clients’ sales pipeline this way. Gain not only sales intelligence, but also indirect feedback on the prospects’ buying process, your content and other marketing efforts. Enable a prospect to make an inquiry in relative anonymity (letting down his/her guard), providing a short-cut to satisfaction. Web chat aids in improving customer service, serving up content, nurturing prospects and potentially uncovering sales opportunities in real time. 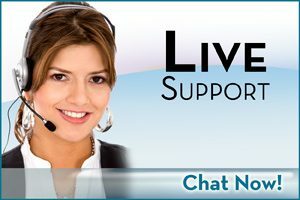 If you aren’t using chat to its full potential, contact us – we can help.